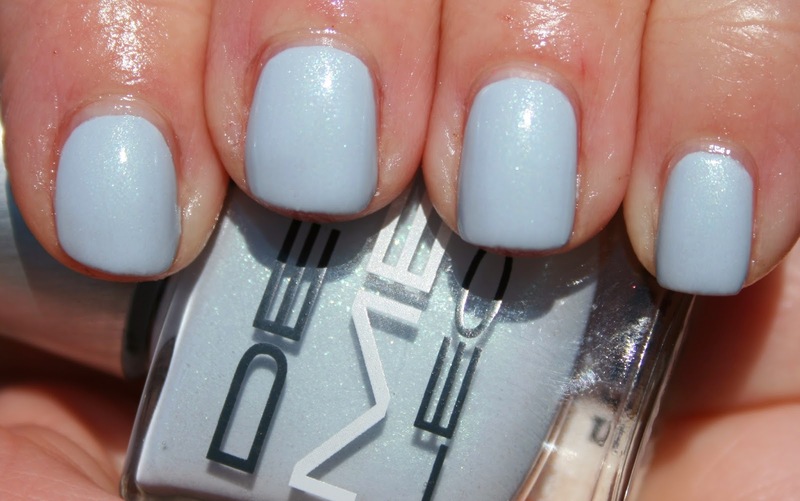 Dermelect describes this shade as "heather with mint accents- picture perfect tranquility". Sadly, it's another shade that give my light-olive skin tone lobster hands. But it's pretty nonetheless and I think it would look great on someone with a cooler skin tone. 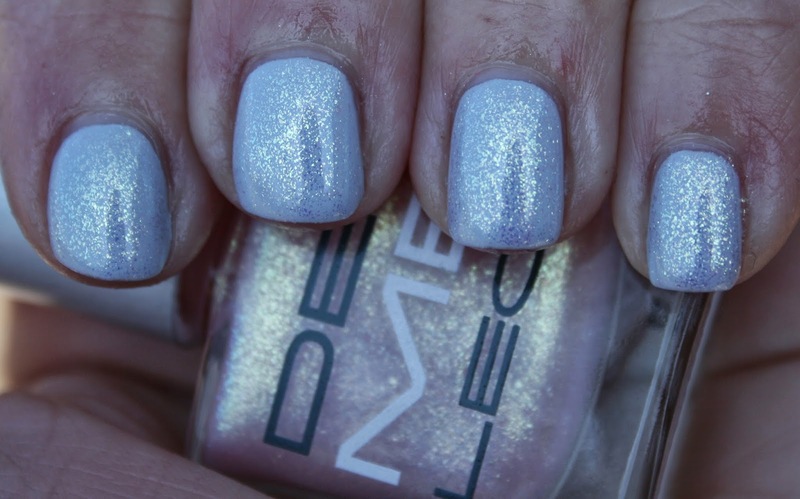 On top of Pristine, Spotlight is a silver shimmer. Over Mellow Drama and Au Courant it seemed to add a gold shimmer, but the undertones of Pristine it really pulled silver. Below is a pic in the shade so you can see how well it covered in just one coat. · Keratin Protein Peptide-Hydrolyzed Keratin extracted from New Zealand sheep’s wool that helps strengthens the nails.